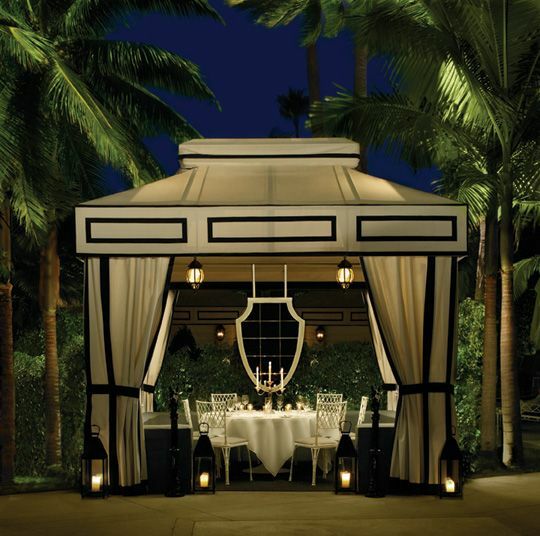 With the weather warming up it is the perfect time for outdoor dining and entertaining. 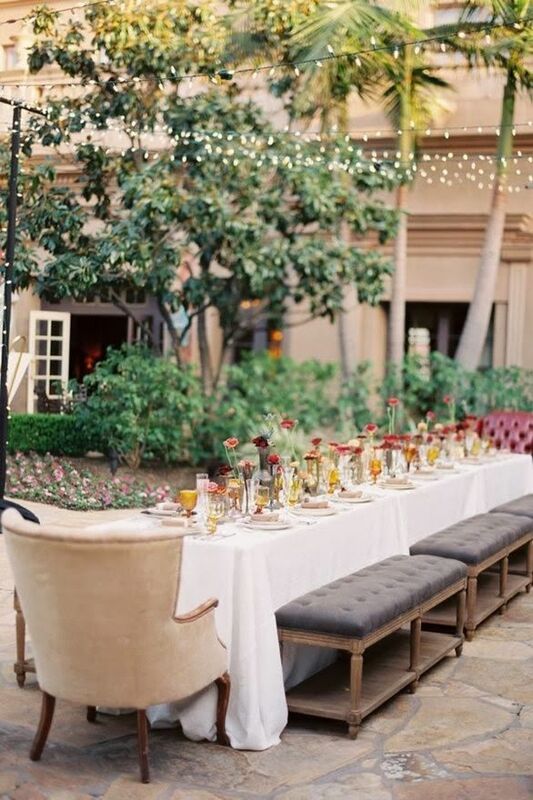 Here are a few ideas I love that may help with your next alfresco soiree! 1. Bring your indoor furniture out! Perfect if you have outdoor furniture you rather no one see for entertaining...or no outdoor furniture at all! 2. Don't worry about furniture at all...sit on the floor! No need to stress about having the perfect furniture setup (no one likes a stressed host anyways). Pull together some benches or even a coffee table and throw down several blankets and pillows. 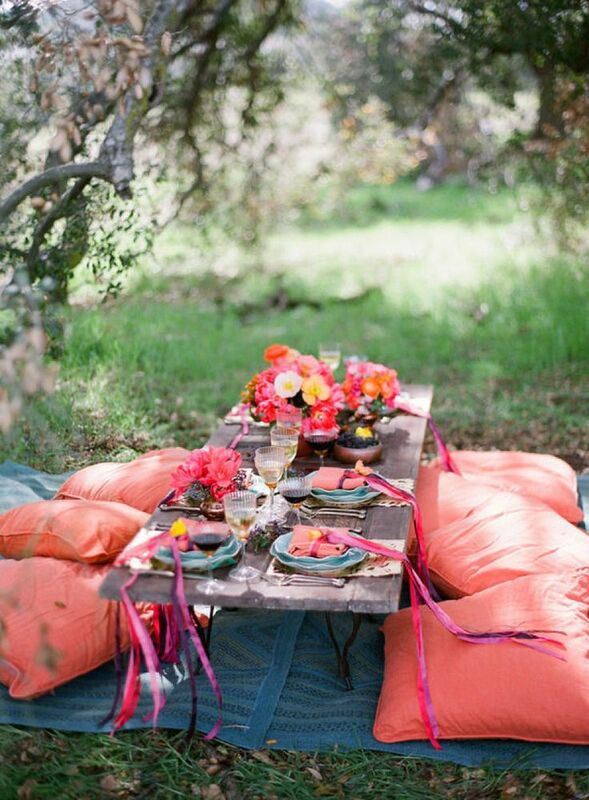 The picnic meets dinner party. Just make sure to make sure your guests are ones that are able to get up and down from the ground!!! 4. Use a tent to create intimacy. This helps to make your yard feel more like an outdoor room! I am obsessed with this tent....as in I want to use it for tailgate...too much?! 5. 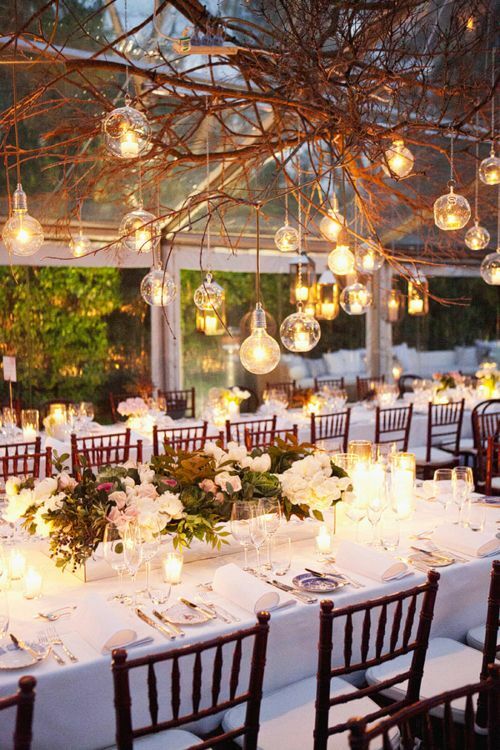 Create a tent out of lighting. 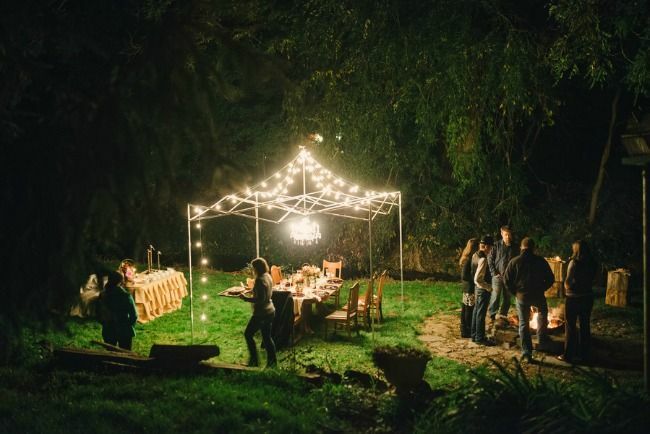 Use the base of those tents you do use for sporting events but give them a chic upgrade by removing the cover and adding string lights! Voila!